Gianna Mancini has chatted with ghosts most of her life. It’s never affected her much. Until now. The latest ghost in Gianna’s family-centric, boy-complicated, job-depleted world is Emma Tinsdale, a woman Gianna despises. Wanting Emma out of her apartment and her orbit, Gianna chooses to help her move on, but she doesn’t expect to come across poisonous jam, a vengeful cop, or a group of friendly clowns. When a relative is framed for Emma’s death, Gianna must dig deeper and faster to find out what really happened that fatal night on the beach. With help from her sister, her cop brother, and her ex-boyfriend, Julian, she gets close to figuring out the truth. But when the killer closes in, Gianna better watch her step unless she wants to become the latest member of the dearly departed. It has been a while since a book has caused me to lose sleep, but this one did. I thought when I started it that I wasn't going to really like it, but, wow, once I got to reading it, I just couldn't put it down. I had to find out what was going to happen. This book had a lot of laugh-out-loud moments in it. There is also a lot going on and it keeps you guessing till the end. Gianna and her family could be pretty funny at times. Also, Gianna has a special, gift, she can see and talk to ghosts. That is gets her into some scrapes, but also helps her get out of some scrapes. I am so looking forward to the next book in this series, as this one left off with a sort-of cliff hanger. Great job Jennifer. Jennifer Fischetto is the National Bestselling Author of the Jamie Bond Mysteries. Unbreakable Bond, her adult debut novel, has received a National Reader’s Choice award nomination. She writes dead bodies for ages 13 to six-feet-under. When not writing, she enjoys reading, cooking, singing (off-key), and watching an obscene amount of TV. She also adores trees, thunderstorms, and horror movies—the scarier the better. She lives in Western Mass with her family and is currently working on her next project. GIVEAWAY: THERE IS GOING TO ONE E-COPY OF THIS BOOK GIVEN AWAY. LEAVE A COMMENT WITH YOUR EMAIL SO YOU CAN BE CONTACTED, NO EMAIL, NOT ENTRY. GOOD LUCK. 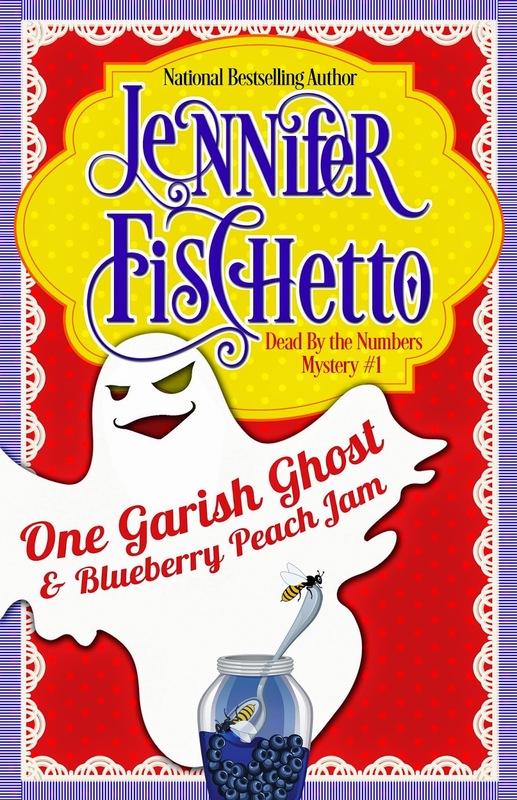 One Garish Ghost and Blueberry Peach Jam by Jennifer Fischetto sounds like a great book. I smiled when I read "... or a group of friendly clowns." I can't wait to read it. Thank you for the giveaway. Thanks for featuring my book, Melina. And for the awesome review. I'm so glad you enjoyed it. :) Good luck to your readers in the contest. This sounds like a great book! Thanks for the chance! I'm glad to hear there is some humor in this book because I like a few laughs with my murders. This is such a fun book - I'm reading it right now! Thanks so much for sharing your review. Now I know I'm gonna love it. It's on one of my reading challenges and I'll be reading it soon! Great review! 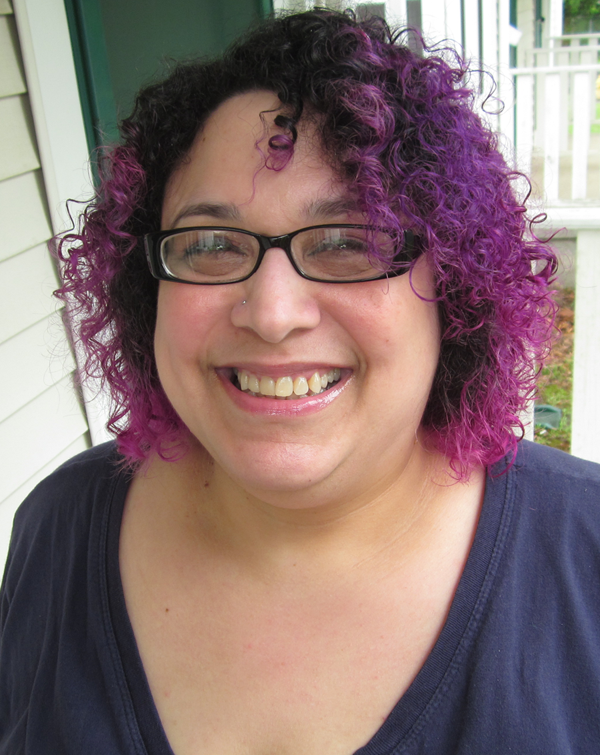 One Garish Ghost and Blueberry Peach Jam by Jennifer Fischetto is a must read! Thank you! Great cover, book sounds fun. Thank you for your giveaway. I look forward to reading it. This sounds like such a fun book. And I love the interviews on the book tour! Thanks for the giveaway.